November and December are not ideal months in which to be cycling in the UK, or indeed much of northern Europe. And whilst many will still brave the ice, traffic and bitter cold of the daily commute with a sturdy resolve, many more will place their two-wheeled friend into hibernation until the shoots of spring show themselves anew. However, this need not be the case and for those wanting somewhere hot to travel in November or December we have four great options for cycling holidays to get you fit and trim in time for the festive party season. A bit of winter sun and a good holiday might even give you just enough energy to handle the inevitable excesses and stresses that this time of year normally brings. And it will also give you the chance to purchase some original presents for your loved ones. 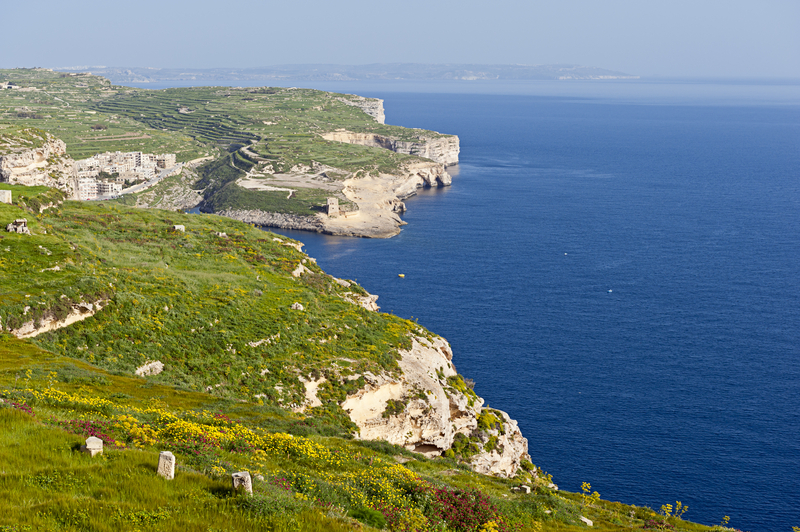 Gloriously green coastline of Gozo, Malta’s little sister island! The Maltese island of Gozo is a fine option for a November or December cycling trip and has the great advantage of only being a short flight from London and other European hubs. In November you can expect a tasty 20 degrees Celsius whilst even in December’s depths 16 degrees will feel pleasantly warm. Perhaps just as importantly, the overnight lows are unlikely to dip into single figures and whilst you may not be cycling at night it will certainly be a delight to leave the scarf and gloves at home. The cycling itself will bring you to wonderful fishing villages where you can indulge in the Sicilian-inspired local cuisine, as well as fantastic coastal trails, clear blue seas and skies to match. With many archaeological sites, including megalithic temples dating back to 3500 BC, and wondrous geological features Gozo has much to explore. And with some excellent hotels at which to rest your bike-weary legs – chilling in the pool or simply kicking back with a glass or two of wine – this Maltese adventure will be a fine mix of exertion and relaxation. Staying in Europe, another relatively undiscovered, unspoilt coastal beauty is the Alentejo region of Portugal. It is largely rural and there is a marked contrast between the rugged coastal scenery and the gentle hills and fields of the interior. Both make for a great cycling holiday and with temperatures of around 18 degrees Celsius in November the snow, sleet and frost of home will simply not feature in your consciousness, and even less so as you sit down to enjoy the local wines, cheeses and smoked meats for which the region is well renowned. If wines and great food are your thing then the Napa Valley in California is going to be just perfect. It is certainly a longer flight than the first two options but your reward is stunning scenery, world class wines and some of America’s finest food. Gastronomes will love Yountville, a short drive from San Francisco and home to the startlingly good French Laundry restaurant, as well as numerous other superb places to eat and sample the local wines. 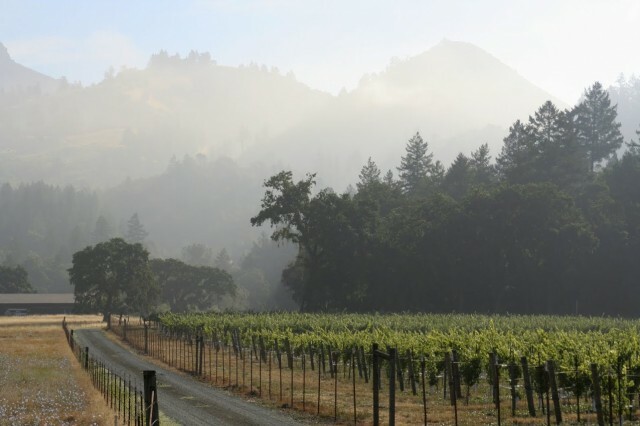 The area is probably best known for its Cabernet Sauvignon and Zinfandel but produces the full range of wines, including some excellent fizz and with the calories burned in the saddle you’ll certainly deserve a glass or two. Whilst the weather can get a little chilly in the evenings,your cycling time should be perfect, with sunny, clear days and highs in December around 18 degrees Celsius but markedly higher at the start of November, well-suited to bike riding with enough warmth to loosen the limbs without so much as to promote overheating. With the imposing giant redwoods, the drama of the Pacific Coast and a host of quirky towns to occupy you, your week – or two – will fly by. In terms of flight time the mid-haul option for somewhere hot in November is Jordan, around five hours from London. Climatically it is a little warmer than California in November and with an average of eight hours of sunshine gives you the opportunity to return with an unseasonal tan to make your friends and family even more envious of your trip. However, coming to Jordan solely for the weather would be a bit like going to the opera for a comfy seat. Jordan has so many world class attractions – both naturally occurring and made by humans – that it is a surprise it is not more regularly frequented by tourists. But that’s to your advantage as cycling round the rose pink city of Petra at this time of year you may hardly see another tourist. Built into the rock faces themselves, the engineering feat of the city would be immense with modern tools and equipment, but with much of the work having been carried out during the first centuries BC to AD, it is truly astonishing. The stunning dunes and rocks of Wadi Rum should be equally deserted – and inspiring – whilst your cycling adventure will also take you to the Dead Sea (the famed minerals should ease any biking aches) and also the magnificent Roman ruins at Jerash. So all in all not a bad haul of historical, cultural and natural wonders to make a cycling holiday to Jordan one hell of a bike ride. Very nice article providing information for cycling holidays. Triathlon camps Spain are very good for cycling holidays. I like these places. Spain is also a good option for cycling holidays.